What do you do when your dinner guests are slated to start Whole30 the following day? You go all out, that’s what. Call it a last supper, of sorts, with as much cream and carbs as we could possibly cram into a single meal. Ok, it really wasn’t that bad (we had salad too!) but between the pasta carbonara and this decadent dessert, it was pretty much a meal filled with everything that Whole30 isn’t. 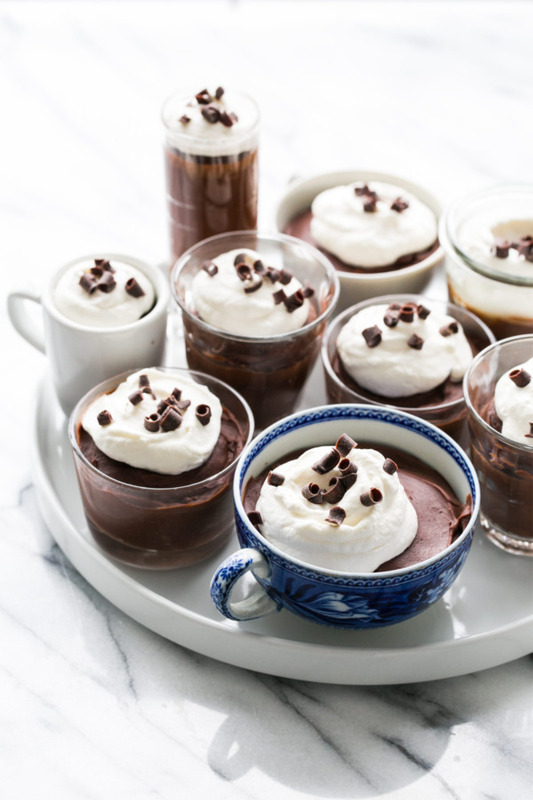 With decadence being our primary objective, this budino, or Italian chocolate pudding, was just the dessert for the job. 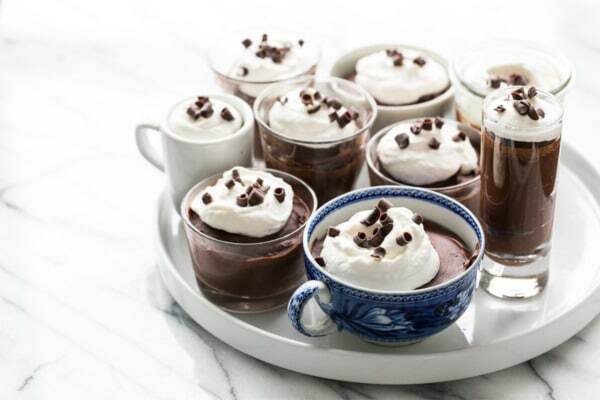 What I love about budino is that, unlike a creme brulee or pot de creme, it is unbaked, which means you can serve it in just about any dish you please. You don’t have to worry about whether it is oven safe or not. Which means, break out the vintage tea cups and cute pinch bowls and glass jars and go crazy! 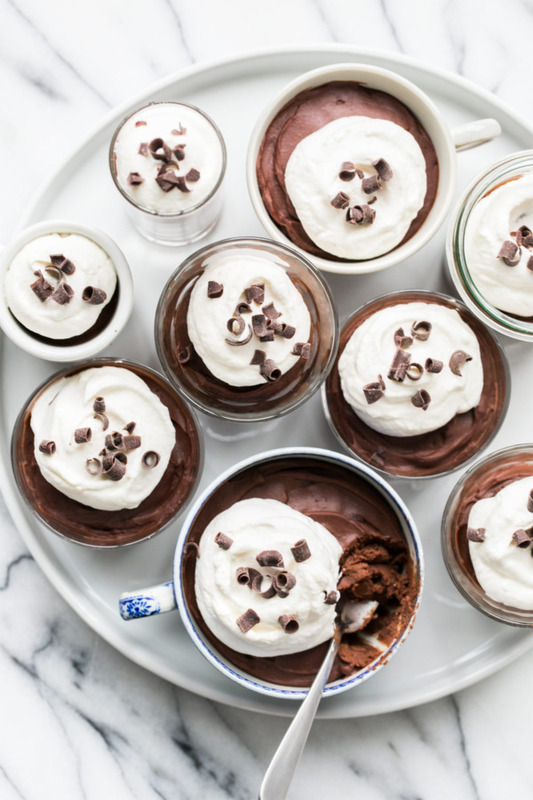 You can also serve the pudding in one large serving bowl as well if you prefer, but, especially when entertaining, I love it when each guest has their very own individual portion (no sharing required). This recipe is from Italian, My Way by Johnathan Waxman. I’ve had his budino before at Adele’s restaurant in Nashville (and absolutely LOVED it), and was excited to find the recipe in his book. Of course, I added bourbon which should come as no surprise to you. Waxman suggests grappa or grand marnier or even a bit of lemon zest, but I think bourbon or brandy are best suited for pairing with the bittersweet chocolate. Use whatever liqueur you please or leave it out entirely. One change I’d make from the original recipe: Waxman has you cool the custard in the refrigerator for about 30 minutes before mixing it into the melted chocolate (which has also cooled significantly at this point). I’m not sure the reasoning for this, but I honestly think the lukewarm custard would incorporate easier with the chocolate than cooled custard. So next time, I’d save myself 30 minutes and a good deal of hassle and skill the cooling step. Mr. Waxman says this serves 4-6. I’m not sure who he is serving, but I could barely finish the littlest espresso cup full of it. It is very rich, I’ll say that much. I’ve adjusted my recipe to yield 6-8 servings, but in reality you could probably stretch it to 10 and your dinner guests would be no less satisfied. Also good to note: I thought the pudding was best with only about 1 hour of refrigeration. Longer than that and it sets up pretty hard, as you can see in these photos (it had chilled about 3 hours) it had more of a truffle-like consistency as opposed to pudding (not that I’m complaining about that). Of course, you can certainly make it farther ahead of time, just give it a good 30 minutes to an hour at room temperature prior to serving. I’ve added a new category I’m calling Easy Entertaining. Now that we have the space to actually host 6 people at our dining table (what a concept!) we’ve been making the most of it by hosting friends for dinner every few weeks. Within reason, of course, since having people over sometimes seems to turn into far more work than you anticipated, especially when you take into account the cleaning and prep that has to happen to make sure your home isn’t a wreck when they arrive. Even so, I’ve been enjoying the company, as it gives me a chance to cook things I might not normally make for ourselves. I’ve realized that the kinds of recipes you make for guests are quite a bit different than the recipes we make for ourselves. And that’s where the new Easy Entertaining category comes in. These are recipes suitable for small to medium dinner parties that can be prepped or mostly made ahead of time (so you’re not scrambling to finish dinner while your guests sip on cocktails in the other room). They are not terribly complicated, and yet still make for an elegant and impressive presentation. It’s mostly desserts like this one right now (no surprise there) but I’ll be going back through our old recipes and tagging them accordingly in the coming weeks, as well as creating some new recipes solely for this purpose. I’m curious, what your go-to recipes for easy entertaining are? Dinner, desserts, appetizers… I want to hear your favorites! 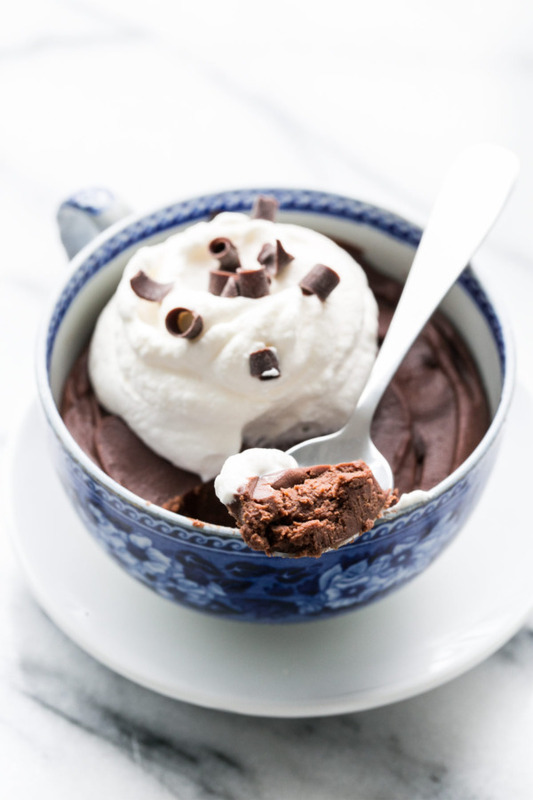 This rich bittersweet chocolate pudding is delicious in its simplicity. Use the best quality bittersweet chocolate you can find; it makes all the difference. 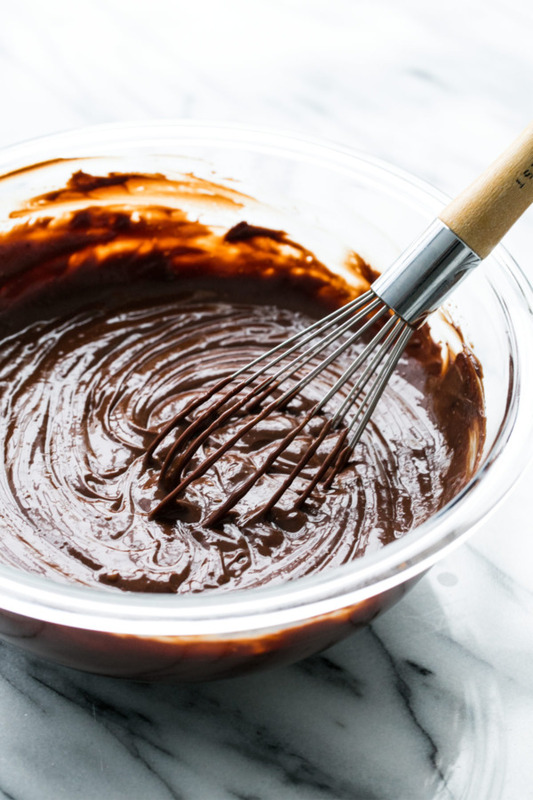 Gently melt chocolates together in a double boiler or in the microwave in 30 second intervals on half power. You don’t want to overheat the chocolate or it will separate. Warm the cream in a heavy saucepan set over low heat until it just starts to steam (do not let it boil). In a small bowl, whisk together the egg yolks and the sugar. Slowly whisk about 1/2 of the warm cream into the egg yolks. The idea here is to temper the egg yolks rather than cook them, so drizzle the warm cream in slowly while you whisk. Pour the egg yolk mixture back into the saucepan with the rest of the cream and return to medium-low heat. Stir with a rubber spatula until the custard thickens and coats the back of the spatula, about 10 minutes. Strain through a fine-mesh sieve to remove any remaining solids. Stir in the butter until melted, then cool slightly at cool room temperature or for a few minutes in the fridge (Waxman says 30 minutes in the fridge, but I think that’s too much). Whisk the cooled custard into the melted chocolate, a little at a time, until fully incorporated. The mixture may seize and become lumpy at first, but as you continue to add more custard it should smooth out to a pudding-like consistency. Stir in the sea salt, vanilla, and bourbon (or other liqueur as desired). 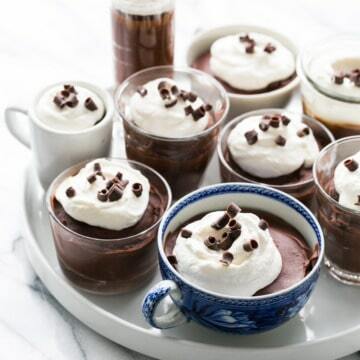 Pour the pudding into a serving bowl or spoon into individual cups or jars. If your pudding has cooled too much it will be quite thick, in which case piping it might be the easiest way to get it evenly into the small containers with little mess. Cover and chill for a an hour or so. 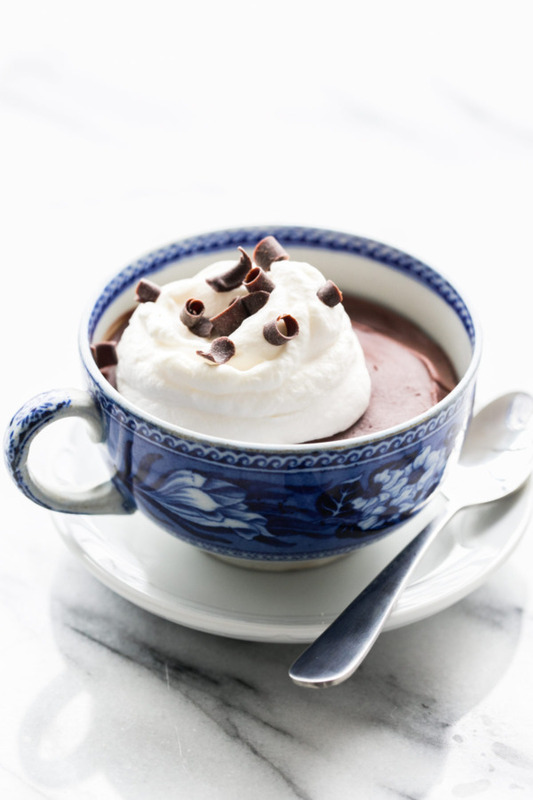 If your budino has chilled longer than that (and it can certainly be refrigerated overnight if necessary), let it come to room temperature for 20 or 30 minutes before serving, topped with a dollop of whipped cream. Recipe from Italian, My Way by Johnathan Waxman.